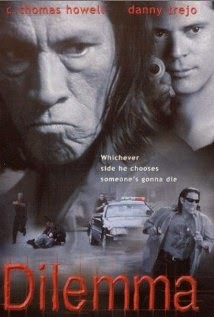 Rudy Salazar (played by Danny Trejo), a convicted multiple murderer whose days are numbered in death row, gets a chance to redeem himself when an unexpected act of generosity gets his sentence reduced. Due to sheer luck and circumstance, Rudy’s bone marrow is the perfect match for a young girl suffering from a rare strain of leukemia. In exchange for his reduced sentence of life without parole, he offers to donate his marrow for the girl’s treatment. When the courts agree to his condition, his gracious act becomes a desperate and bloody bid for freedom in this action-packed thriller. Although Salazar’s plea with the courts were approved, Thomas Quinlan (C.Thomas Howell), the detective who was responsible for Salazar’s capture and imprisonment, already sensed that the convicted felon has ulterior motives. Quinlan’s suspicions are confirmed when Rudy makes a break for freedom during his hospital transfer, which leaves a wake of dead police officers. The murderer is once again back on the streets and it is up to Quinlan and his partner Lydia (Sofia Shinas) to apprehend Salazar once again. They must put all their efforts in succeeding, both for the general safety of the public and to give the little girl her last chance at surviving. Will Quinlan and his partner succeed in the capture of Salazar? Will Salazar turn over a new leaf to save a young girl from dying? This action thrilling will keep you guessing until the end. 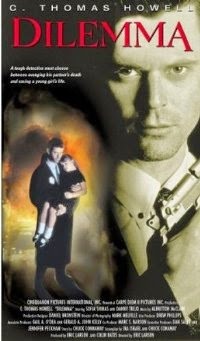 Don’t miss out on this epic film, watch movies online for free, where there’s many more in stored for you!